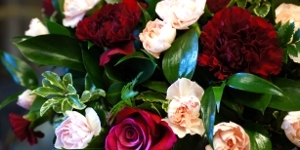 We are a local florist in Heckington, Lincolnshire, sourcing the vast majority of our flowers from local growers. 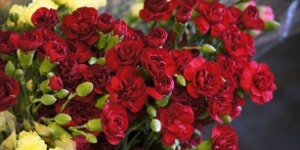 We can provide flowers to customers in the local Heckington area (including Sleaford) and even to areas further afield. 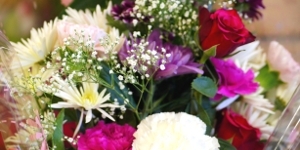 If you would like to purchase bouquets, gifts or flowers from us, you can contact us on our contact us page. 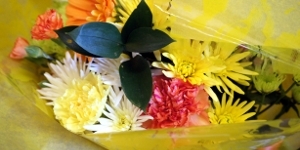 Full range of funeral flowers and tributes available; prices dependent on size, content and colours. Please contact us for further information. 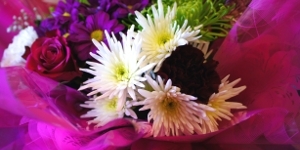 Special occasion flower and gift arrangements (chocolates, teddy bears etc.) available for anniversary, birthday, new baby, Mothers day, thank you, good luck and Valentines day. You can pop into our shop in Heckington to chat about what you would like us to do for you, or please phone or email us to discuss your requirements further.